There are a few secrets that chefs don’t share with the general public- tools they use in commercial kitchens to make their jobs easier, and food taste better. One of those secrets is clarified butter. Chefs use it in the kitchen often for a multitude of purposes. So, what is clarified butter? 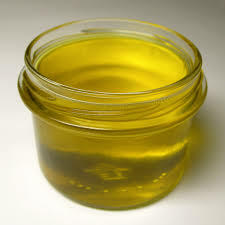 Clarified butter is milk fat that is rendered from the butter in order to separate the milk solids and other impurities (including water) from the butterfat. Perfectly prepared clarified butter is a beautiful golden color, and delightfully clear. Clarified butter can be made a few ways. When I was in cooking school we would place 3-4 pounds of unsalted butter (pros always use unsalted to control the salt content) in a non-reactive pan over low heat. As the butter melted, the milk solids would rise to the top, and would get skimmed off. This process of skimming was continual and repetitive- I learned that careful attention was required to make a successful batch of clarified butter. If a student left the butter for too long it would burn, ruining the entire batch. When I began working in a commercial kitchen, I learned that there was another way to prepare clarified butter. Simply place the butter in a non-reactive pot, and place on the stove over very low heat. Let the butter melt without skimming the milk fat off the top at all. The milk solids will evaporate, and after a few hours a crispy skin will appear on the top- this layer can be removed easily, and the butter can be used immediately. This process is useful, because in a professional kitchen there is no time to watch, and continually skim the milk solids off the surface. What is the purpose of clarified butter? Clarified butter has a higher smoke point (485 °F or 252 °C) than regular butter (325-375 °F or 163-190 °C), and is therefore preferred in some cooking applications, such as sautéing. Clarified butter also has a much longer shelf life than fresh butter. It has negligible amounts of lactose and casein and is, therefore, acceptable to most who have a lactose intolerance or milk allergy. I use clarified butter in my kitchen every day- I keep it in plastic squirt bottles so that I can grab it quickly, and squirt it in a hot sauté pan. I use it to sauté fish, cook veggies, and sear meat- clarified butter has a wonderfully smooth flavor that other oils can’t provide. Excellent tips chef! I though butter is just a butter but this clarified butter seems better than just a butter.